This clock is hand made of brushed copper mantel with warm brown patinated copper Dial in the background. 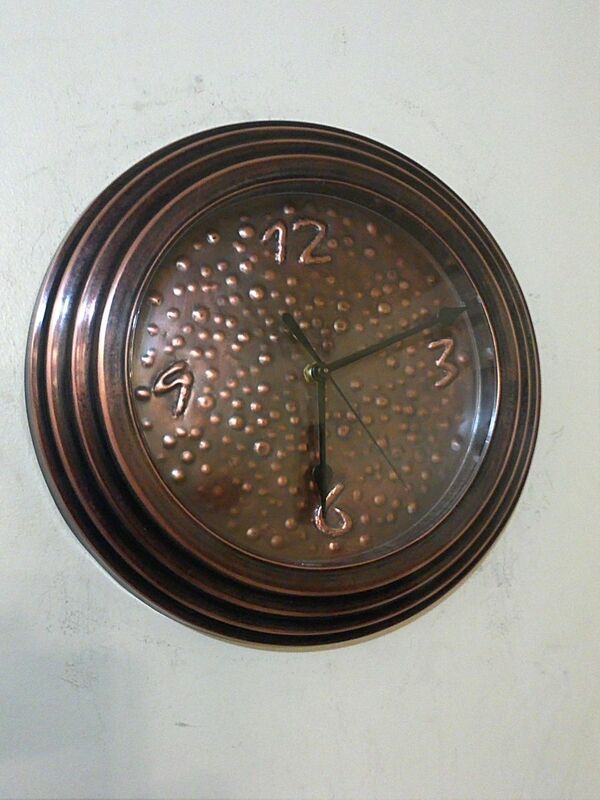 Copper Dial is Hand Hammered in to (16oz. )dark oxidized patina copper .The movement is 1/8" silent CONTINUOUS SWEEP.